Did you know you can tailor your finance quote to suit your needs? Many think that car leasing has to be rigid and the terms are fixed, actually, that’s far from the truth. Here is how car finance works. Car leasing finance is completely down to you, your personal circumstances and financial stance, and how you want it to work best for your requirements. In case you didn’t know how flexible car leasing and car finance is, we’ve rounded up the top things in a lease that you can fully customize. 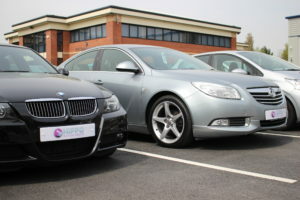 When you see a deal on a car leasing website, it will usually show a deposit amount; anything from 3-12 months upfront. This can put many off a deal, as they don’t have the money for a lump sum initially. However, these online deals are often only a guide to the best price the company, like ourselves Hippo, can get for that particular vehicle. Actually, you can change and customize deposits using our calculator, to better suit your financial position; choosing between 3, 6, 9 or 12 months. It’s very much worth contacting us if you have your heart set on a vehicle which shows a deposit, as more times than none, we can also offer it without a deposit at all. It’s worth noting that if we are able to remove the deposit completely, and you pay nothing up front, then the monthly payments will rise to take it into account. This would work better for those who prefer to spread costs and don’t have enough saved to pay out initially. It also works the other way. Perhaps you do have some savings and would prefer to put down a larger down payment or deposit so that your monthly payments are smaller and reduced? That’s also absolutely fine on most lease deals, with many opting for this option. When you lease a car you have to agree on an annual permitted mileage. As you can guess, the lower miles you’ll do, the less you’ll pay as the leasing company will take the car value depreciation with mileage, into account. So really try and work out how many you do, and stick to it. If you go over, you will be charged an excess fee per mile. Check how much this fee is because, actually, it may work in your financial favour to pay less a month with say 15,000 miles, and then pay a sum at the end if you do more. Again, it’s all up to you and how you’d prefer to work financially. You may know that at the end of your lease, you’ll be in a better financial position that you’re in now, so you’d prefer to take that cost at the end. Do note that this doesn’t work the other way around, and if you say you’re going to do 20,000 and only do 11,000, you won’t be reimbursed for those miles. Again, if you see a car lease deal online that states 48 months (4 years) but you feel that’s too long, or you can afford more per month, do contact the leasing company. The length of the lease is almost always customizable to suit every customer’s financial needs. You may want to pay more per month to get a shorter lease term, or you may want to pay less per month, then opting for a longer lease term. These are both options, and completely your decision when you’re taking out a car lease. When taking out a lease you’ll be asked if you would like to add a maintenance package for an additional set monthly cost. This will ordinarily cover servicing, tyres and other maintenance and consumable parts. Although this will add to your monthly cost, many opt to add this as it gives them peace of mind, and they know they’re not going to receive any unexpected bills if something does go wrong with the car. Others will opt out, to make their monthly costs less. They may feel that it’ll be very unlucky for things to need attention with a brand new lease car, so will risk it, or they may just be happy to deal and pay for those maintenance issues as and when they arise. So you might see a car lease deal with insurance included, road tax included and even roadside assistance, in some cases. This is fantastic for some and, not so good for others. If you are a new driver, for instance, this could be perfect as you are literally getting everything you need in one monthly payment. You don’t have to go out and search comparison sites or do anything else, just drive away and then each month you’ll pay. It will streamline your finances as it’ll go out as just one payment, at the same time. Others, who may already have a long-term relationship with an insurance company, that rewards them for loyalty with cheaper prices and included roadside, will probably want to get a lease without these perks. Although these prices may be fixed and come as special offers, you could contact your leasing company and ask for a deal on that car without the perks and see what they can offer. OK, so this isn’t something that you can really customize so to speak, but it is worth taking note that the better your credit score, the lower interest rates you pay. It works the other way too, the worse your credit, the higher interest rate you pay. Click here to see how credit scores differ and what they mean for you. So as you can see, leasing is extremely flexible when it comes to the initial sign up. You can literally customize the length of the contract, the size of deposit (if any), project your mileage as well as opting in or out for maintenance packages and more. It really is down to you and your personal circumstances, and whether you like to spread costs, pay more now, or pay more later. Here at Hippo Finance, we aren’t just experts in car finance, we lease cars too, so let us find, finance and deliver your perfect car. To speak to an experienced leasing finance advisor about a car that you have seen or to get a car leasing finance quote, give us a call on 01254 956 777, or head to the website www.hippomotorfinance.co.uk for an instant quote.